At the church ‘Vision y Avivamiento’ (Vision and Revival), pastored by the lovely Jesús Mauricio Naspiran Ñañez…in a very tough barrio, not so many years ago I was told it was too unsafe to come here. I’ve been a good few times, and Mauricio is a great friend, with a wonderful miracle testimony from 4 years ago. 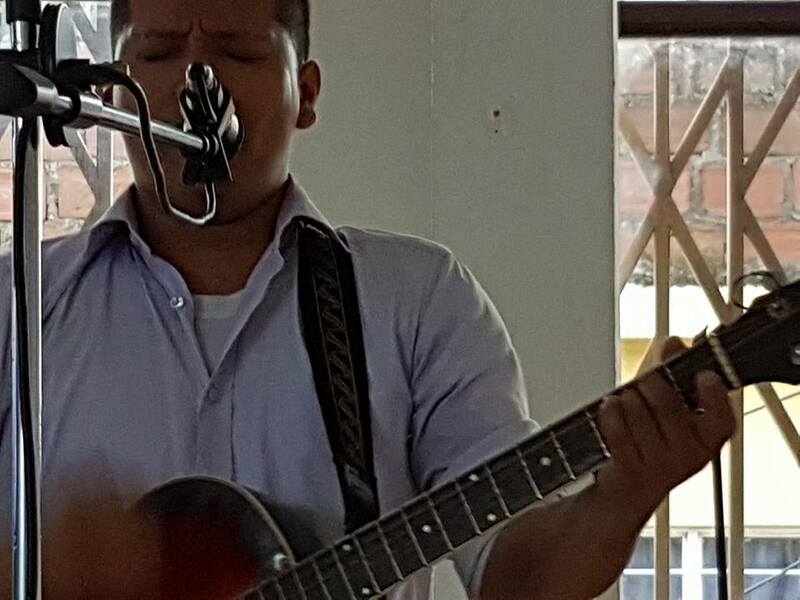 A worship leader, and guitarist, he’d been in a motorbike accident, and crushed his left wrist: it was open, and the radius(?) bone was broken and dropped. He just bandaged it up, didn’t go for treatment…no future with guitar then. Or…prayed for him, at the end of the service, he picked up his guitar to put it back in the case…and realised he could play it. He almost screamed with joy, people in the church cried…and here he is playing now, with a lovely little girl drumming, she can only be about 6 years old….what a totally delightful picture of Sandra, the drummer – so young, playing in the worship band, and WORSHIPPING… I love countries like this where children are given – encouraged to take – opportunity to serve Jesus. Do you know a church in a western world, sophisticated nation, where the drummer in the band is a girl like Sandra? I’m struggling to think if one…. 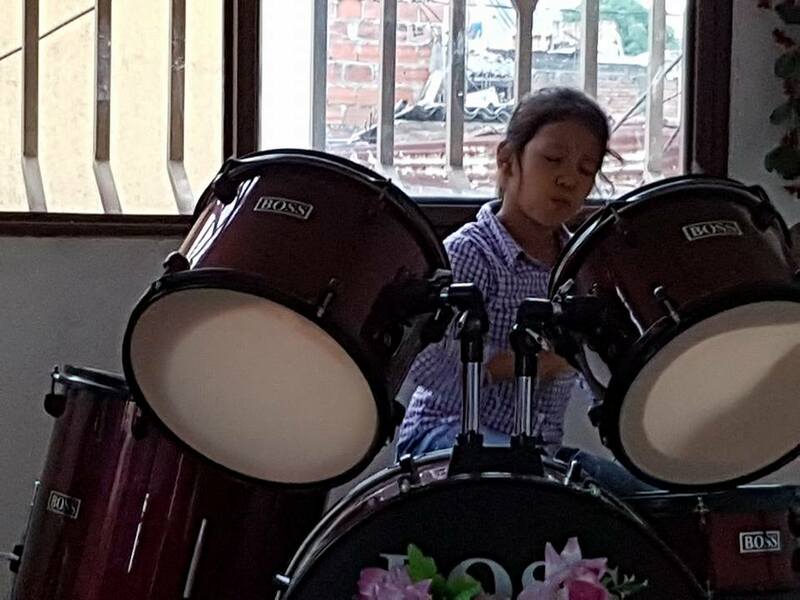 Sandra, 6 years or so, drumming in the worship band – and she was GOOD…. 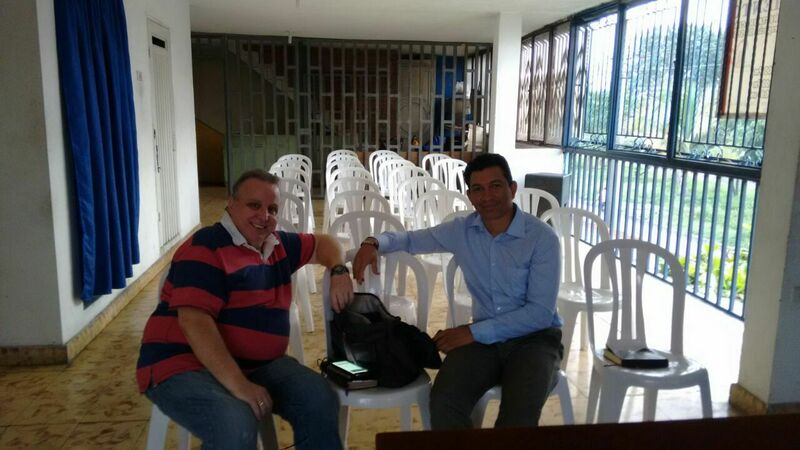 Two great amigos…..truly one of my dearest friends in the world, Wilmar Gomez, at the church ‘Vision y Avivamiento’ (Vision and Revival), last night. There were more people there by the time the meeting began…. 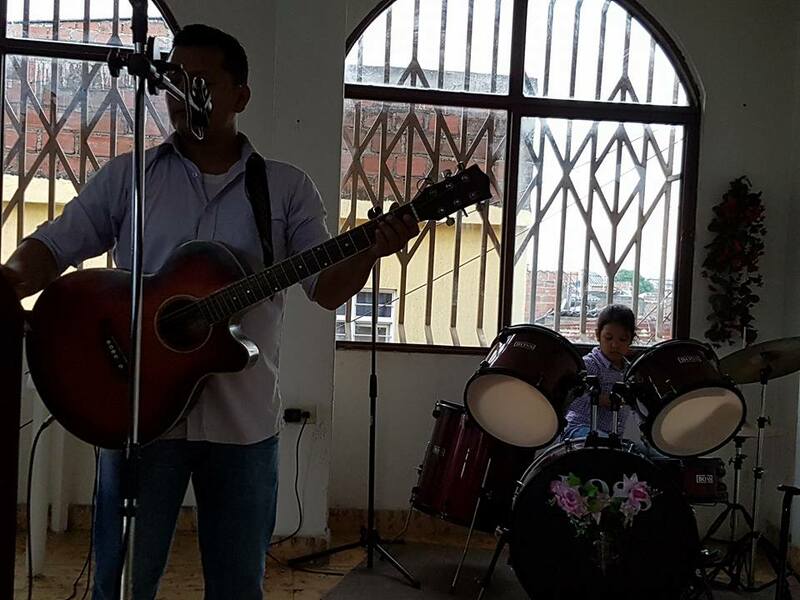 Retiro is a tough district, but there are some delightful people in the church, and a last night, a new young lady, who God healed, who gave her life to Jesus as a result of being there, and what he began to do in her…. God seems to have his foot on the accelerator these days: people were coming for prayer, sitting down with Wilmar and me, and moments later, pain had gone, osteoarthritis, dermatitis, accident damage from motorbike/car crashes healed…. One man, in chronic 8-9/10 pain every day for 20 years, including when he came for prayer, left, minutes later, totally pain-free…. An older lady with osteoarthritis from head to feet, walked away with no pain, especially in her knees which had been the worst, after a lifetime of pain…. I’m so grateful to God that, in doing this miracle in my knees, the ability and desire to pray for people with osteoarthritis, and see God heal them, hasn’t gone away with my own extreme pain! As with the church Wednesday evening, when the pastor kicks off the evening telling of a major miracle God has done for him or her, it opens the floodgates… Mauricio’s hand, 4 years ago, was a mess….he’d NEVER play the guitar again, humanly, truth: he’d never have strength in his wrist again, humanly, truth. He’s a lovely passionate worshipper and leader, and a fabulous living testimony to God’s miraculous power – even down to refusing to go for treatment so he could lead the meeting, back then…. It’s safe to say that Wilmar & I prayed for about 15 people last night – and everyone was instantly healed, miracled, or had major things going on inside that proved God was on the move in healing them….